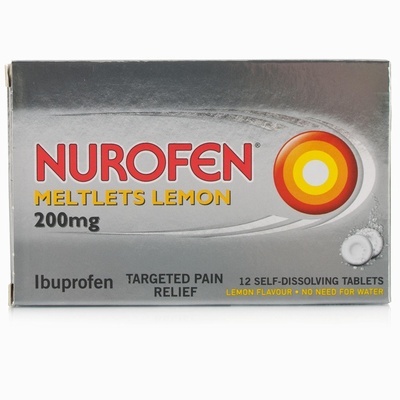 Nurofen Meltlets are a completely new format in pain relief. Just place the Lemon flavour tablet on your tongue and it dissolves in seconds so you don't need water to help you swallow it. 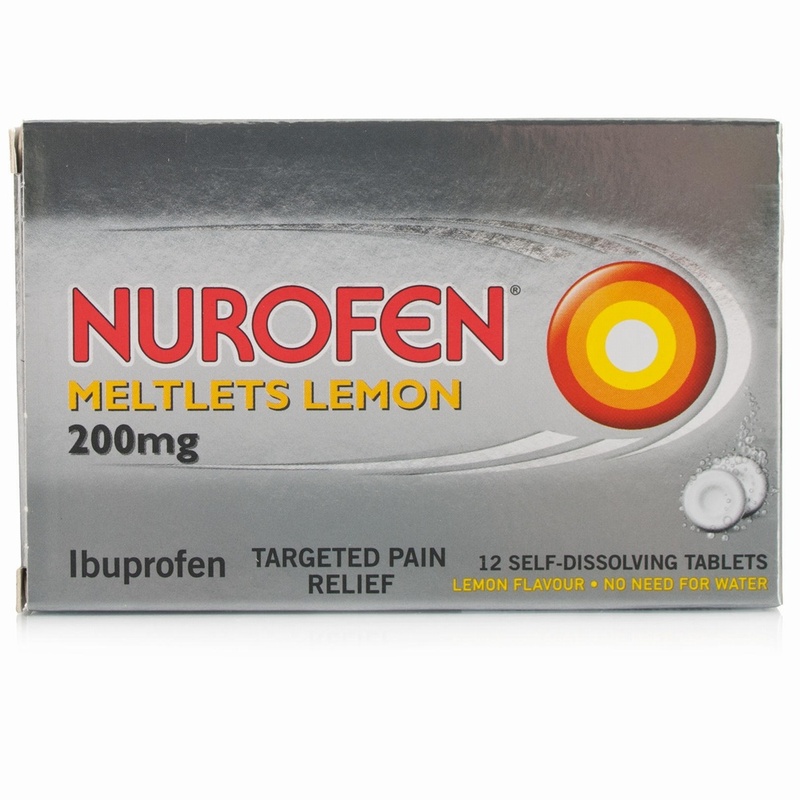 Nurofen Meltlets relieve pain, reduce inflammation and lower temperature providing effective relief from headaches, backache, period pain, dental pain, neuralgia, rheumatic pain, muscular pain, migraine, cold & flu symptoms and feverishness.